Since its inception in 1981, the firm has counseled individual investors and institutional investors in local and national securities litigation, as well as other complex federal and state cases, including securities, consumer, and antitrust class actions and ERISA, FLSA and mass tort actions. The firm's office is located in Pittsburgh, Pennsylvania. The firm is currently litigating class and consumer cases pending in federal and state courts across the United States, including New York, Chicago and Los Angeles. The court has recognized the contributions of our counsel. In Portec Rail Products, Inc. Shareholders Litigation, G.D. 10-003547 (Pa C.P. Court, Allegheny County) Judge Christine A. Ward stated, "[H]earing a case that's presented by counsel of this caliber, it's a real treat, it's a delight..." Magistrate Judge Kenneth J. Benson stated, "The court has never seen a more thorough tracking of the requirements for a good class action settlement than that pursued by counsel in this case...The court has been impressed with the competence and candor of counsel..." Di Cicco, et al. v. American Eagle Outfitters, Inc., et al., 95-CV-1937 (W.D. Pennsylvania). America Online, Inc. Sec. Litig., 97-264-A (USDC E.D. Virginia), $35 million settlement. Black Box Corp. Derivative Litig., 2:06-cv-01531-JFC (USDC W.D. Pennsylvania), $14 million worth of relief to the company. Dynamic Random Access Memory (DRAM) Antitrust Litigation, No. M-02-1486 PJH (N.D. California), $325 million settlement. Tyco International LTD Sec. Litig., MDL Docket No. 02-1335-PB (D. New Hampshire), $3.2 billion settlement. Alfred G. Yates, Jr., born Sarver, Pennsylvania; AV Rating from Martindale-Hubbell; admitted to the bar of the Commonwealth of Pennsylvania and the U.S. District Court for the Western District of Pennsylvania (1973); U.S. Court of Appeals, Third Circuit (1982). Education: University of Pittsburgh (J.D., 1973), College of William and Mary (A.B., 1968). With U.S. Army 1968-1970. Al Yates began his career in 1973 as a trust officer at Pittsburgh National Bank, now PNC Bank, and subsequently as an attorney at Wayman, Irvin & McAuley. Mr. Yates is a graduate of the College of William and Mary in Williamsburg, Virginia, and the University of Pittsburgh School of Law. He is a U.S. Army veteran, having served on active duty from 1968 to 1970. 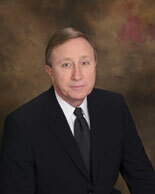 Attorney Gerald L. Rutledge has contributed significantly to the practice. Gerald L. Rutledge, born Bronxville, New York; admitted to the bar of the Commonwealth of Pennsylvania and the U.S. District Court for the Western District of Pennsylvania (1991); U.S. Court of Appeals, Third Circuit (1996). Education: Duquesne University School of Law (J.D., 1991), Carnegie Mellon University (B.S., 1988).